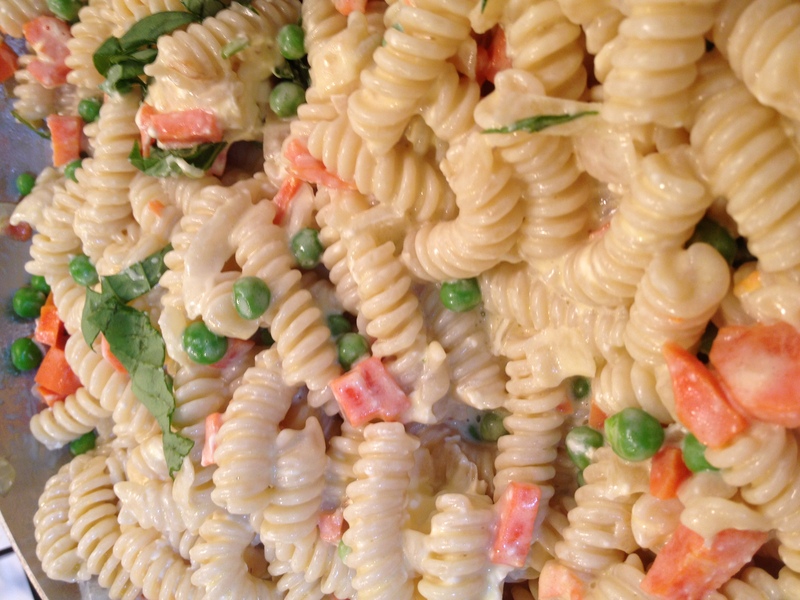 One of my favorite recipes is Giada De Laurentiis’ Pastina with Peas and Carrots. It is from an episode of “Giada at Home” for her daughter’s birthday. It is so simple and so delicious! There is mascarpone and cream cheese in the recipe, yum!! I used rotini instead of pastina. It even tastes good cold.